This week in Bavaria has been Herbstferien or 'half term', so seizing the opportunity to travel, two of my fellow year abroaders and I hopped across the border to the Czech Republic and spent a few days in Prague. 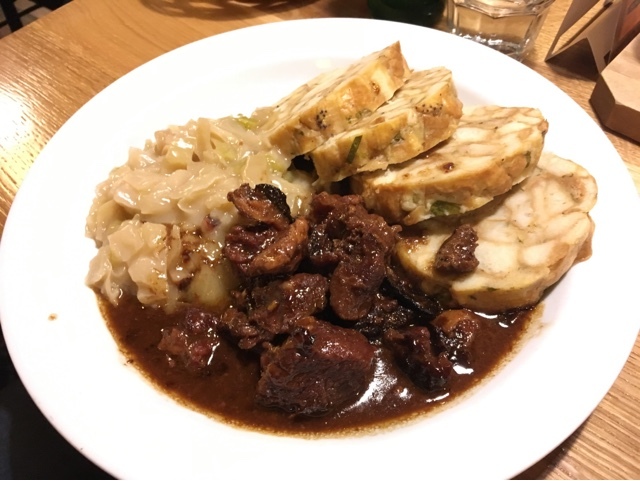 When thinking of a country's culture, I always think to what their speciality dishes are, however before heading to Prague I had no idea what to expect from Czech cuisine. While I was there I was determined to sample as many traditional Czech dishes as possible in an attempt to truly get a feel for the country and it's culture. For those of you, who like me, aren't really sure what to expect from Czech food and are planning a trip there soon, or are just a massive foodie and want to see some pretty spectacular dishes then this post is for you. To give a brief outline, if you are not a big meat eater or are a vegetable fanatic then traditional Czech food maybe isn't for you. 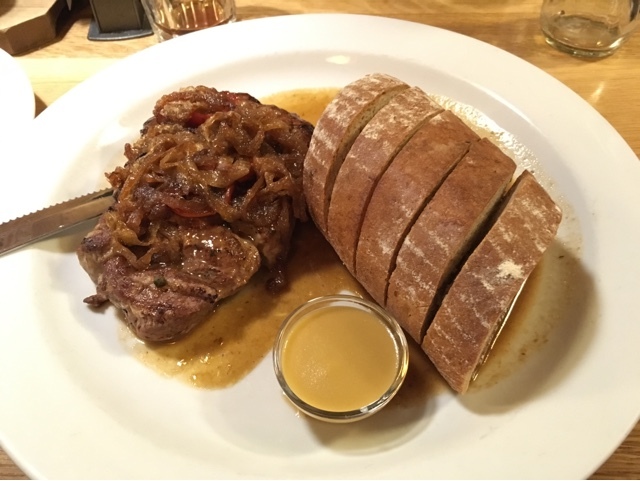 Most of the dishes comprise of big hunks of meat with some form of potato/bread accompaniment. 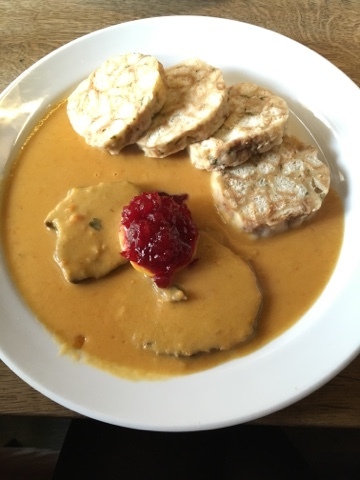 Svickova; Beef in a creamy sauce, with dumplings and cranberries. This is maybe my favourite dish that I sampled. 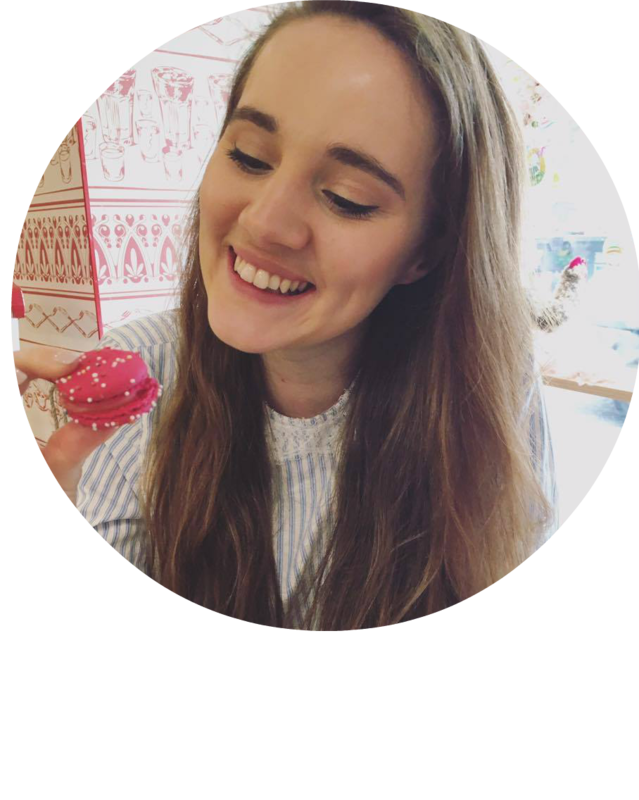 We were warned that it was quite a sweet dish and tended to polarise opinions but I personally did not find the sweetness overpowering. The meat had a very smoky flavouring which went perfectly with the sweet cranberry jelly. The sauce had a definite carrot and orange flavour although I'm not sure exactly what it was made from. Dumplings in Prague seemed not to take the round shape which I would assume but were squished almost into a burger like pate. Super duper tasty though, both my friend and I had it on different occasions and both of us really enjoyed it. Definitely one to try! 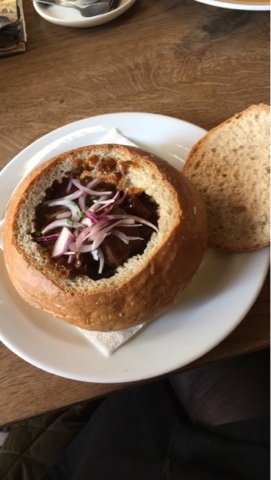 Czech goulash in a bread bowl; Now goulash is a traditionally Hungarian dish but the Czechs have their own version which is almost the same but missing most of the vegetables and spice of the normal goulash. Super yummy gravy and big chunks of beef though made this the perfect lunch to keep you going on a cold autumnal day. Both of the above dishes and opening photograph are from a restaurant recommended to us by our walking tour guide, called Koslovna Apropos which is just five minutes walk from the old town square, I would definitely pop in here for lunch if you are looking for some traditional Czech food in the city for a reasonable price. Pork knuckle with dijonaise and bread; In keeping with the meat and no veg theme, for dinner one night we visited MIsnej Kocour, a traditional restaurant/bar not far from our apartment. 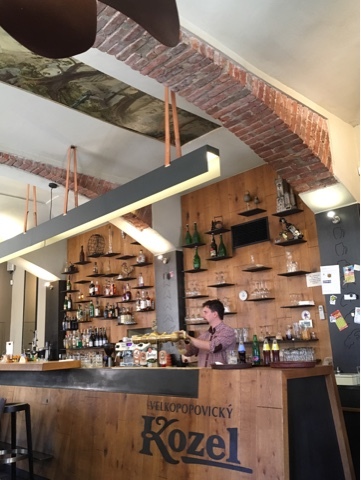 With an incredible cosy atmosphere and a more local's than tourist feel to it, we really felt like we were experiencing Czech culture. 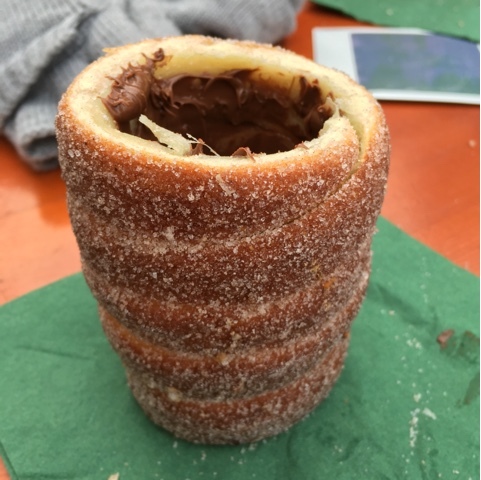 To finish with perhaps the most controversial item on the menu, trdelnik. But it's just a pastry Zara how can it be controversial? 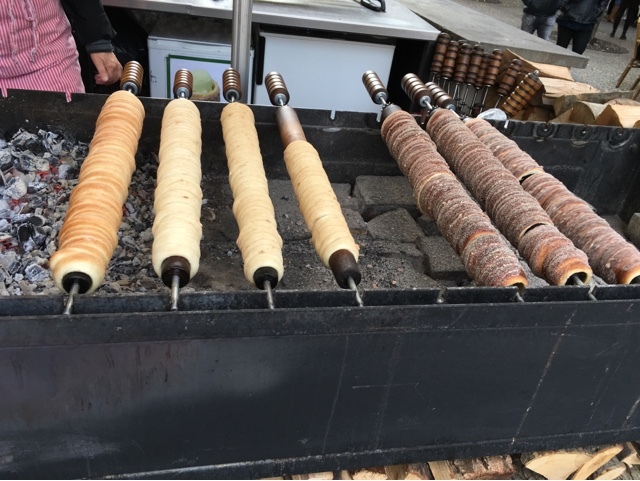 Well, in actual fact this pastry which is becoming increasingly popular in Prague according to our tour guide actually has it's origins in Transylvania. So not actually from Prague. But walking around the city you wouldn't know that, these pastries are everywhere and you can sit and watch them being turned around slowly crisping and enticing you with their sugary outer. I spread some Nutella around the inside of mine which I think definitely helped make it tasty, otherwise it's pretty much just a pastry spiral.